I loved books as a child, so much so that at every gift giving occasion my family would give me books. That was nice until I saw my sister getting dolls and other nice stuff to play with. I felt I was missing out and I let my mother know it. The next gift giving occasion, I received a doll. I loved her beautiful blonde hair that was just like mine but quickly found some scissors and cut it short, as mine was styled (a la the actress, Mia Farrow, my mother said). My mother didn’t say anything. She knew I did it to make the doll more like me. Despite loving the doll, it was soon put aside for my books. I wasn’t really a girl who played with toys much. It was getting my head into a book, drawing on the white paper my Nanna collected for me from the butcher, or going on grand imagined adventures in the world outside that pushed my buttons. My love for books continued as I grew older. My mother learned to speed read in my early teens and taught me how to do it. We had already been churning over the library with an armful of books each week. Speed reading meant a book a day, so we got through a lot but in the end we had to re-learn how to slow down. By speed reading, we got the information in but did not get lost so well in the imaginary worlds the authors’ created. It took the fun out of reading. I was once a great fan of romance novels – not the modern ones or ‘Mills and Boon’ types but the old fashioned stories that came from authors like Georgette Heyer or the Bronte sisters. It was a shock to me when I met my future husband, to learn that being feisty and slapping his face when he was not being nice was not as acceptable as those stories proclaimed. As a young woman, I started reading thick tomes of fantasy adventure novels. Each time a new series would come out, I’d end up buying every one. I loved fantasy adventure novels and science fiction best. I churned through two to three inch thick tomes in a couple of days. It was my escape from the world. Because I hadn’t finished high school when I met my future husband and then ran away from home with him, I went back to finish my schooling as an adult, after my kids had birthed. Then, in English class, I re-associated myself with my love of writing and all my earlier forays into it as a child came back. I’d earned awards at school in earlier years for my writing, and I’d had some poetry and short stories published in magazines. So this renewed interest spurred me to write my own novel. I’d become a freelance actor before going back to school and had already established my own amateur theater group by then, which I’d written some plays for, so writing a novel was just another step on my creative path. By that time, my reading included scripts for my acting work and reviewing new plays for the theater group I founded. I was reading less and less for pleasure and more and more for purpose, albeit expressive and creative purpose. Although I was still reading those, something changed once I began writing my novel. I found it extremely hard to pick up my fantasy adventure books and read them. I still bought them but they sat on my shelf waiting for me to read because every time I began reading I kept thinking of the novel I was supposed to be writing, and thought that I would be better investing my time and energy in that rather than in the depths of someone else’s book. My long and deep association with reading the written word in novels pretty much came to a halt, then. Is that sacrilegious? Some would say so. It’s not that I never read again. I have read the occasional book since but my life was so much more focused on expression rather than receiving after that. I was extremely busy expressing myself, in work, through creative endeavors, and in relationships. I didn’t have time to read, other than newspapers, magazines, and for information. I never actually finished writing that novel. It got almost completely written but was redone and reworked over and over for many years until real life got in the way. It’s been some time since I got back to it. It still sits in the recesses of my mind, not even as just one book but as a series of novels… maybe for another lifetime, now. The last time I read a book of fiction from cover to cover in recent years was when I was stuck on a ship for three weeks with a companion who didn’t want to leave the cabin much. The television didn’t have anything to watch on it, so I read the novel I had put in my bag for a ‘just in case’ situation. I was lucky to have had that book but since I got off the boat I still haven’t read another. I don’t know what it is. It’s strange when I remember how many I went through in my younger years. Perhaps it is because life is so very busy and so very creative in so many other ways, I don’t need to escape any more. I have so much going on in my own mind, I don’t need other people’s stories to uplift me. Plus, when I read what they write, I often find myself reading the words that already sit in my head. I still love books, though. I still like to have them around, and all that I read is still embedded in the grey cells, somewhere. One of the first books I got a sense of being greater than its content was a small bible I had been given by missionaries visiting my school when I was a child. It had golden edges to the pages that shined in the sunlight, and the delicately thin pages were a delight to turn. They reminded me of the tissue paper pages between the sepia photos stuck onto the cushy thick paper of my unmarried Aunt’s family photo album, with a padded velvet black cat on the cover that I liked to run my fingers over as a child. While I am no longer a christian, today, I still appreciate the feel of that bible. It was the first time I knew a book not by its words but by its cover. I loved the soft leather that held those wafer thin pages together, too. The minister of the church my mother went to had a larger version of that bible that he carried around almost everywhere he went. I was asked to read from his bible during one Sunday meeting. It was lovely to stand at the podium and read from this beautiful book with its red silk marker dangling at the side. The words of the bible never really got into me as they did in my sister and others, though. I felt that most of it was a history or a genealogy, and it was hard to read. I don’t like books that are hard to read. That’s why I never made it all the way through J.R.R. Tolkein’s ‘Lord of the Rings’ series, and had to wait until they made it into movies before I truly got hooked. I suppose that’s why books like the bible need translators and interpreters like ministers, priests, and nuns. Like Buddha, I’m not a fan of second-hand interpretation. I like to assess things for myself. My adoptive father’s family home had shelves of old books with tooled leather-like covers. I liked to take them off the shelves and try to read them as a child but many were difficult to process. The language and the grammar were different to that used in my world and the pages were stained and musty. I have to say I was not a fan of old books. I hated that smell. I hated the old, neglected feeling that came from them, as if they had been finished with so long ago and just sat there waiting for something good to happen, and it never did… and by the time I came along, it was all too late – they had grown old and spotty, and stank. Sounds harsh, I know. Actually, there were some that I did perservere with, like the stories of Robin Hood, Shakespeare’s poetry, or William Wordsworth and his daffodils… The words were enjoyable when I got to them. I just didn’t like the feel and smell of old books – the inside pages, anyway. The outside of the books were different. It was the outside of old books that inspired my imagination best. I loved the years of handling that had roughed their covers, the years of body oil embedding in their imitation leather, the fraying and the tatting, and abrading of gold or silver tooling… I delighted in that. I would much rather look at a whole book case of old books from the outside, (though they do beg to be picked up for at least a peek inside). For me, old books are to be cherished for what they are as a whole, rather than for just what is in between their covers. I would much rather read the information that old books have in a newly printed form… but as an artwork, old books say it for me. I am sensually invested in old books. They say you can’t judge a book by its cover. Well, I do. In this case, the cover is its history. It’s the way it has lived in this world. People can be like that. If you think of a person’s life as being the pages of a book, over time the activities and memories of the past get blotchy and spotted, faded and yellowed, no matter how important or delightful their content once was. 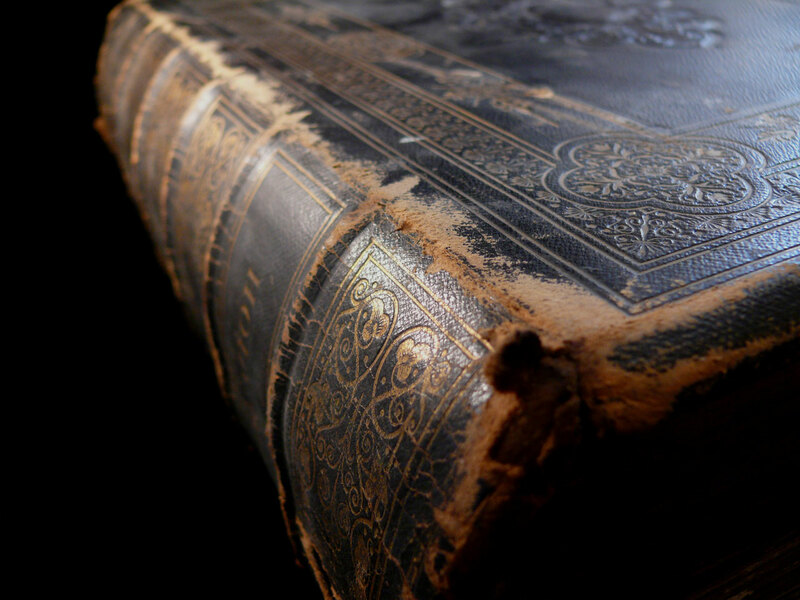 With much of the past no longer aired, these inner histories become stale and musty… but the outside of their book is more beautiful as it ages. It becomes an artwork. It is the archaeological sum of their life. Fascinating. Today, I am renewing my interest in the written word, that comes between a cover. (I’m still getting my head around e-books). I’m really enjoying exploring the ideas and imagination of other writers, again, and especially reliving the metaphysical information I learnt so long ago, now expressed with new vision by modern authors. While I prefer to read current reprints than the inside pages of musty old books, the technological media of today does not have the pages I enjoyed turning long ago. Modern paperbacks and e-books don’t have the sensuality of old books with their hard or leather covers, either. It’s all about the content and not about the art or its mellowing. Lilipily Spirit – Empower Your Life, Connect with the Divine!